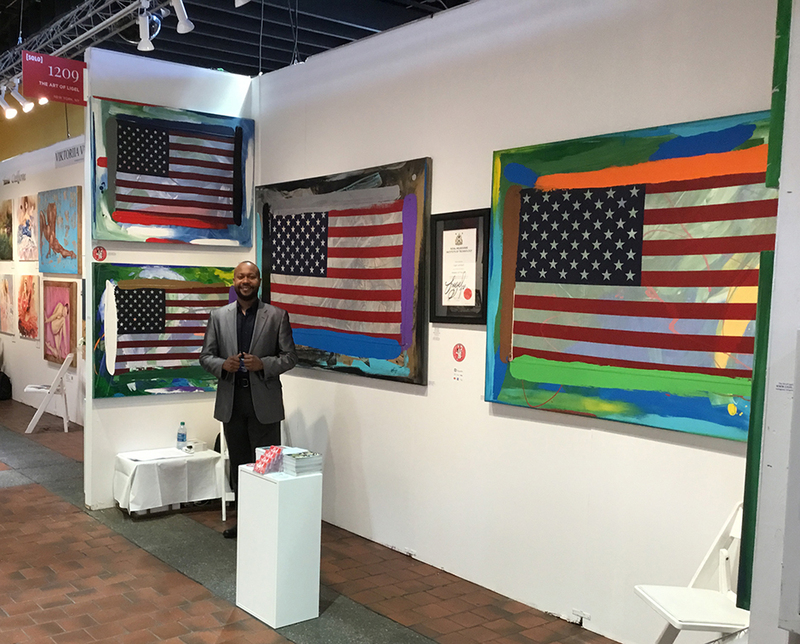 From April 4 - 7, 2019, I had the opportunity to exhibit 6 paintings from my “Made in the USA” series. 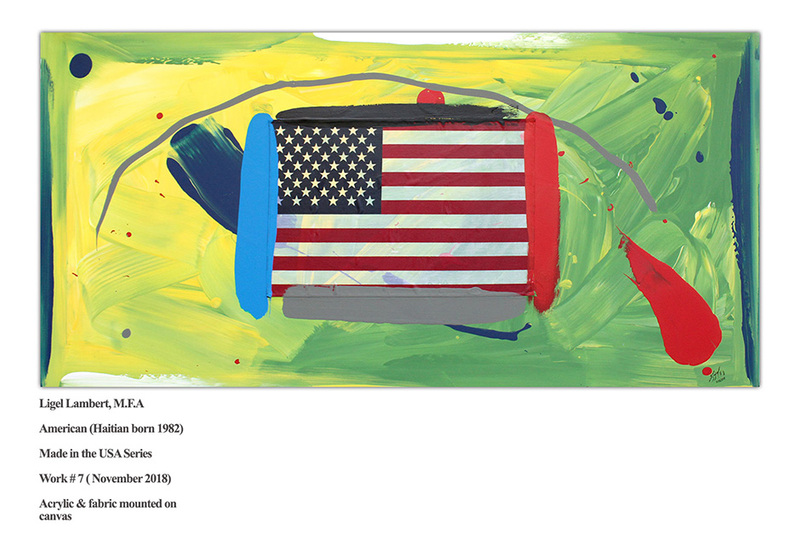 This series is a body of work that comprises of 50 paintings of various sizes - I’ve created 29 already - using a mixed method approach (acrylic and fabric -readymade- on canvas) to resolve the works. 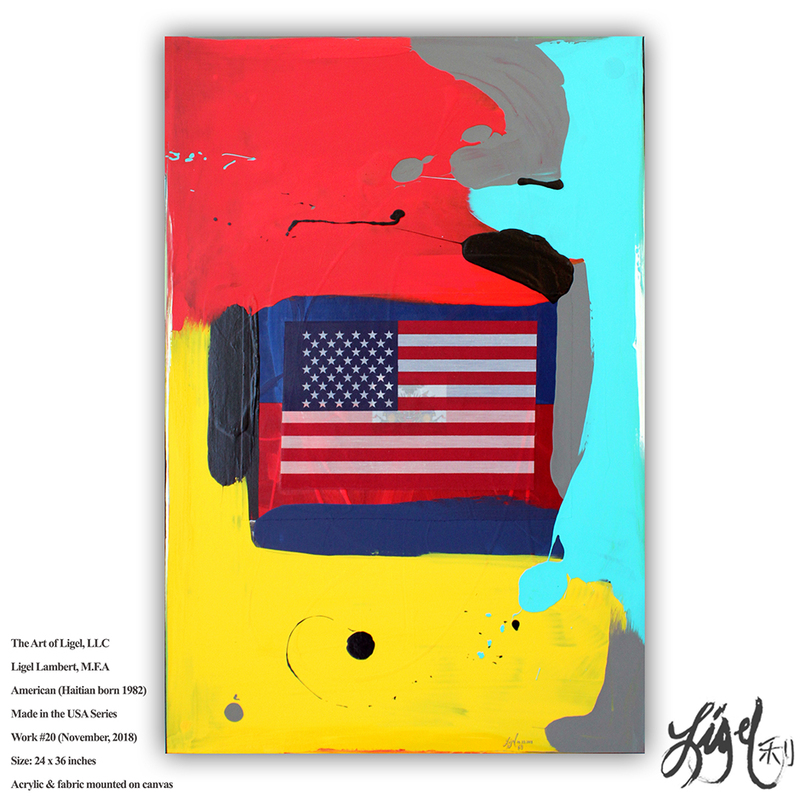 The concept is aligned to Jasper Johns’s flag series that was created back in the mid-1950s as well as the use of the readymade (with reference to Marcel Duchamp) and the use of a bit of abstract expressionism which I’m particularly interested in. 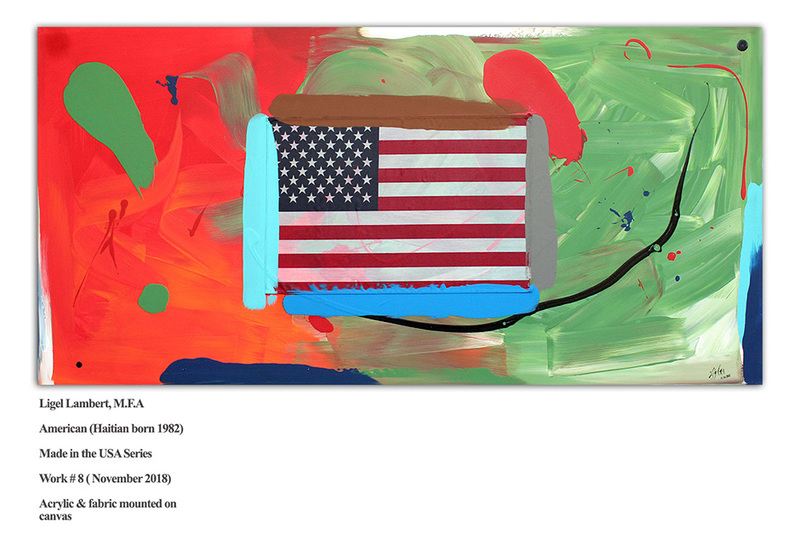 This series is also an extension or a subcategory of my identity series which I started in 2013 while completing a masters in fine art at RMIT University. 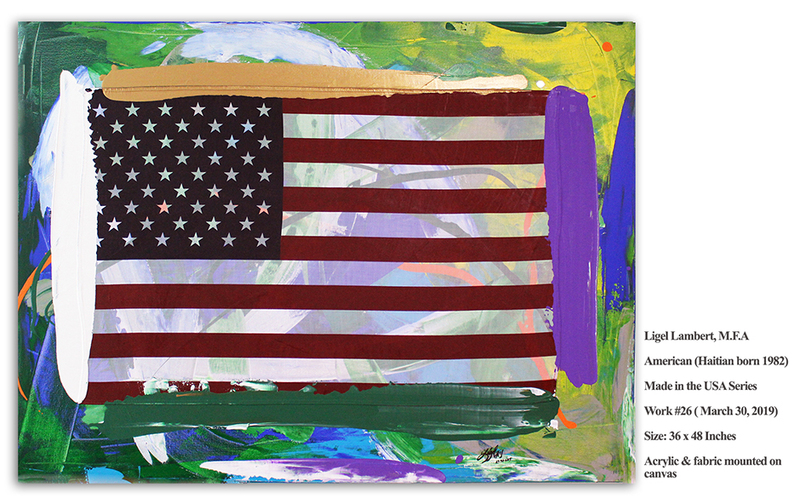 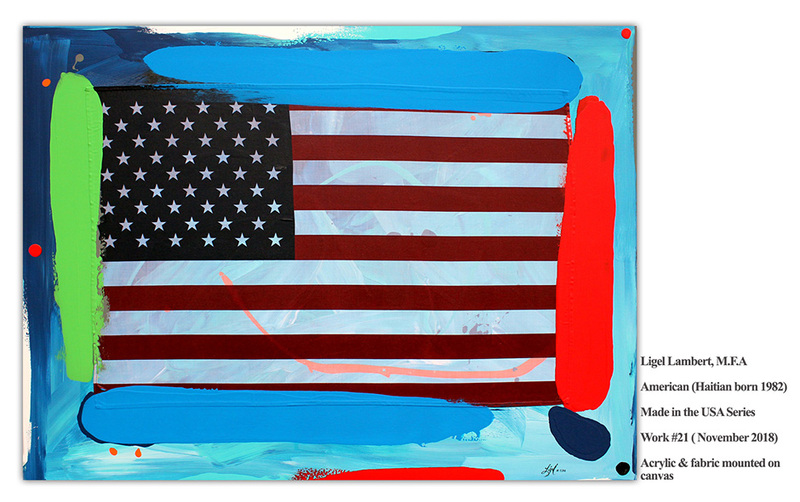 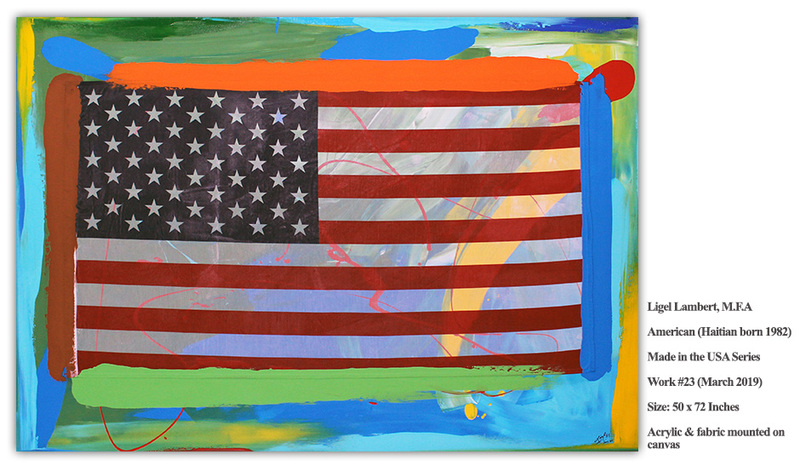 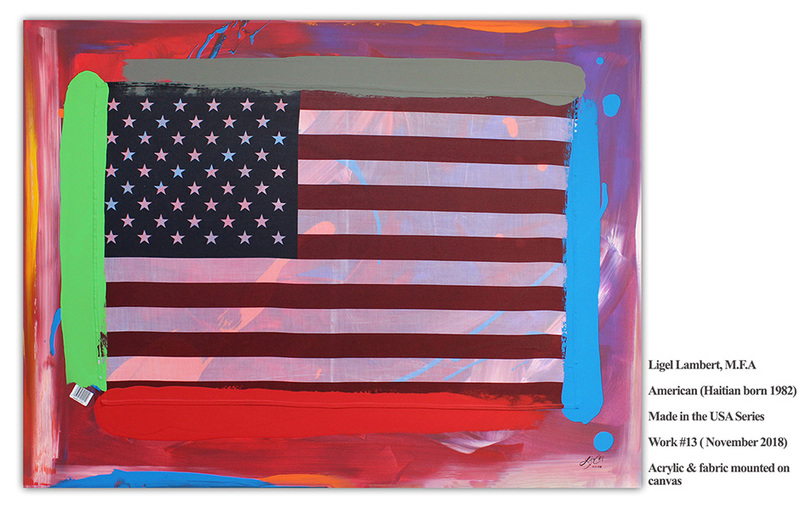 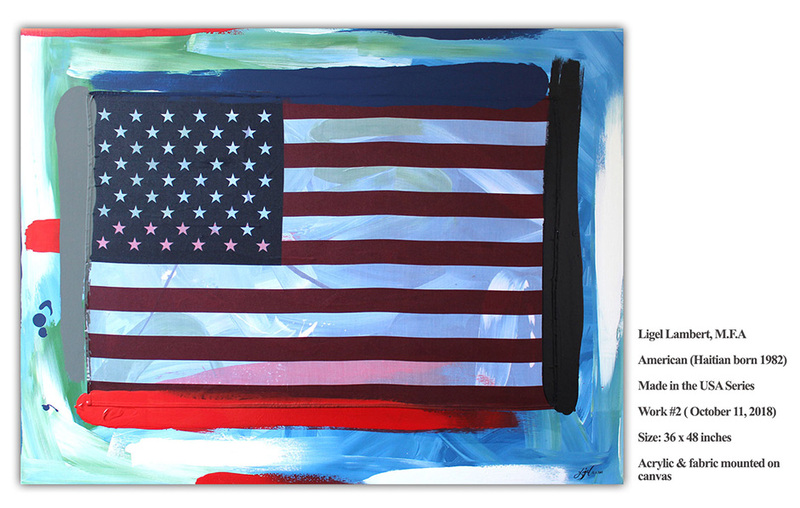 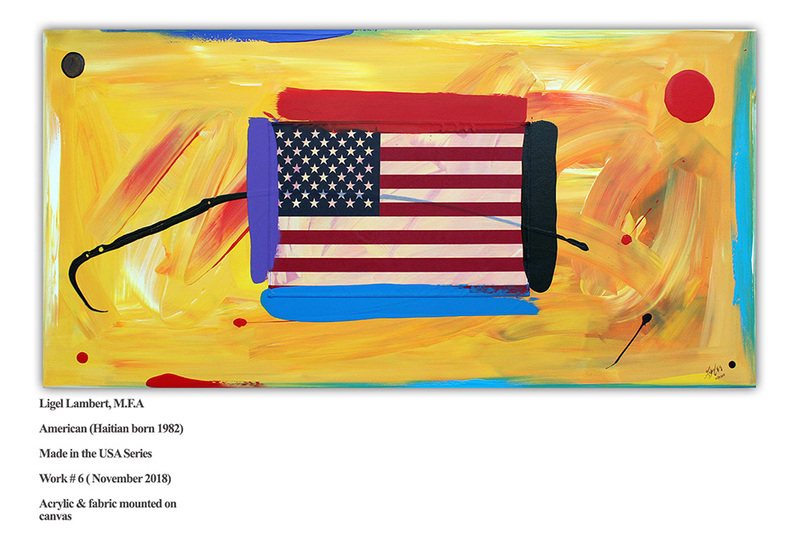 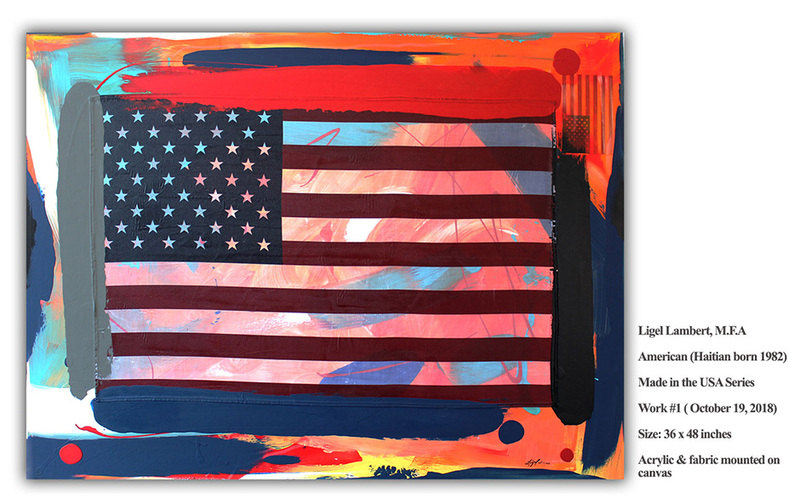 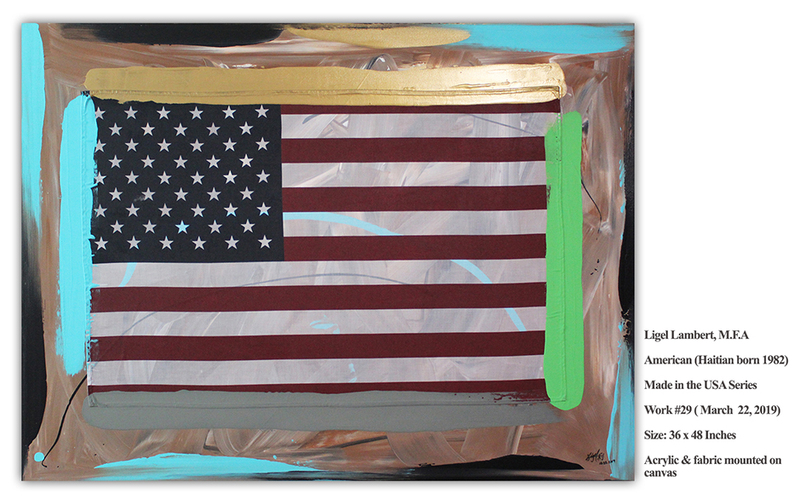 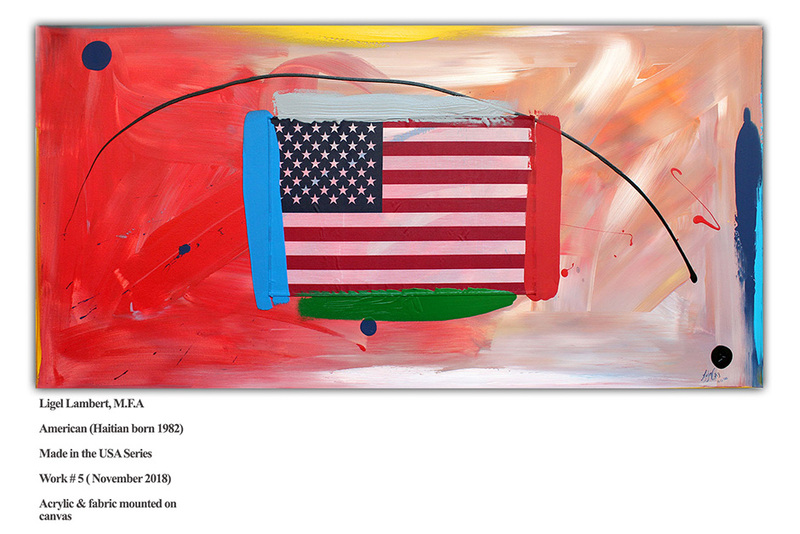 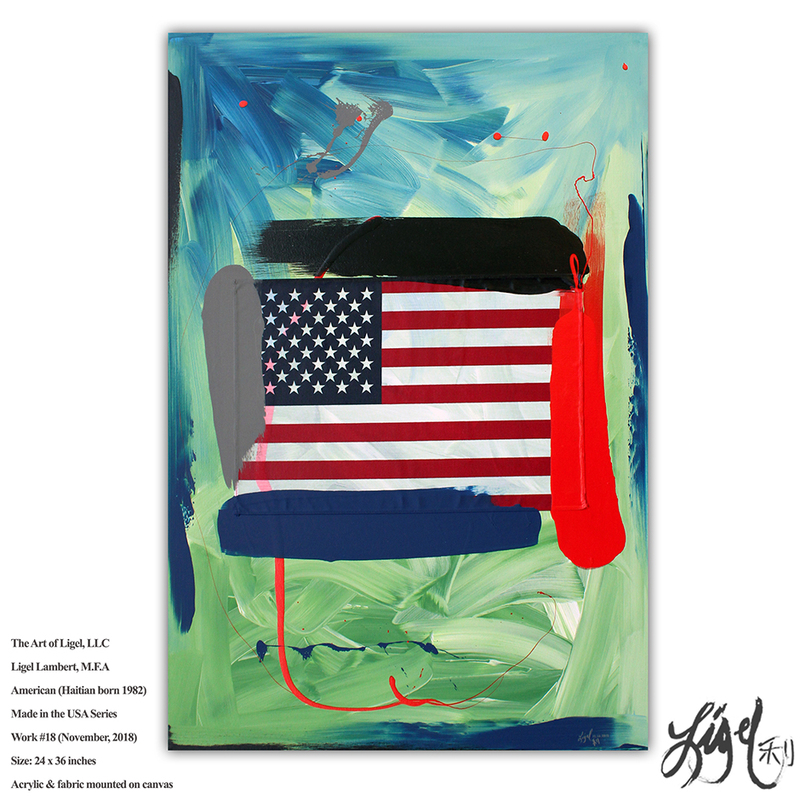 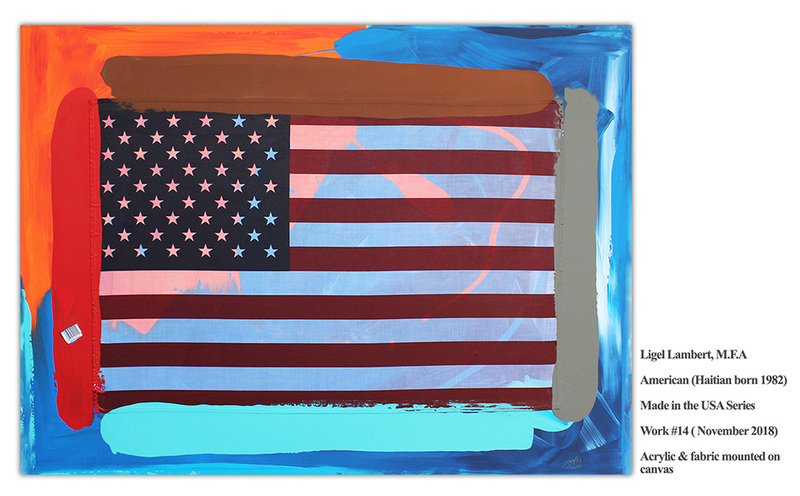 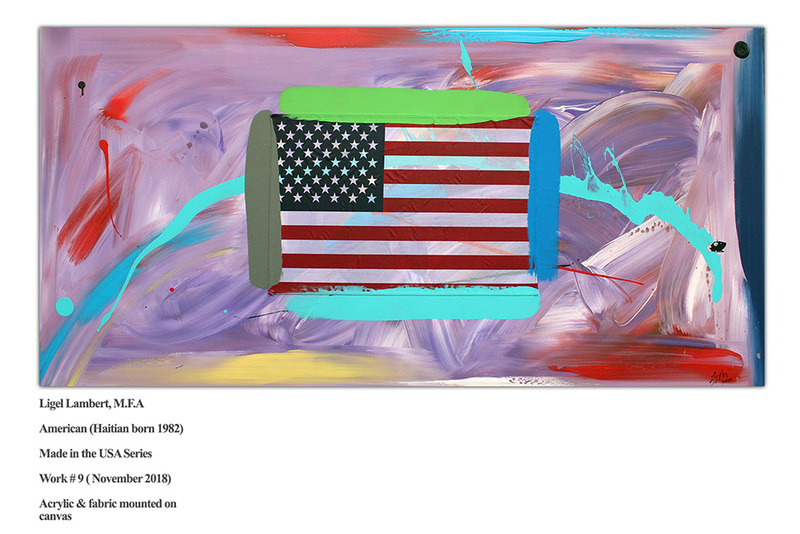 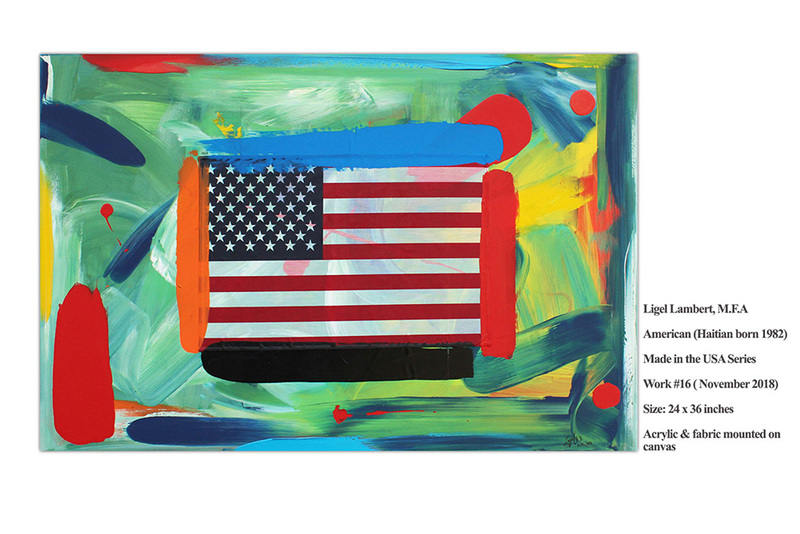 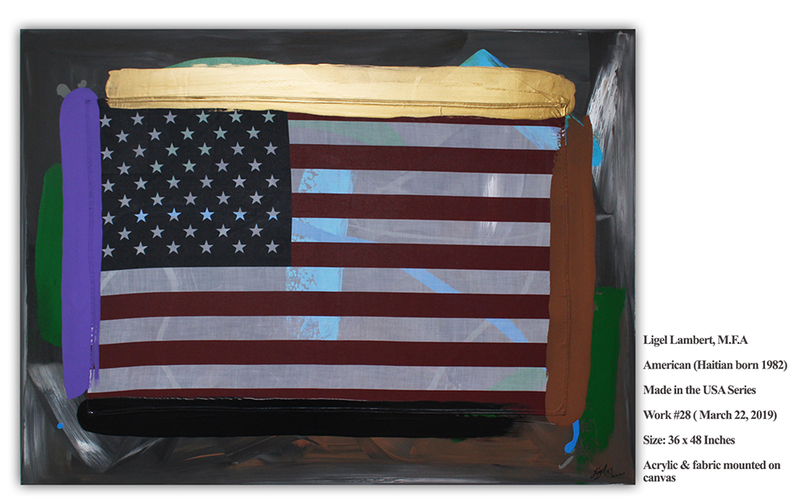 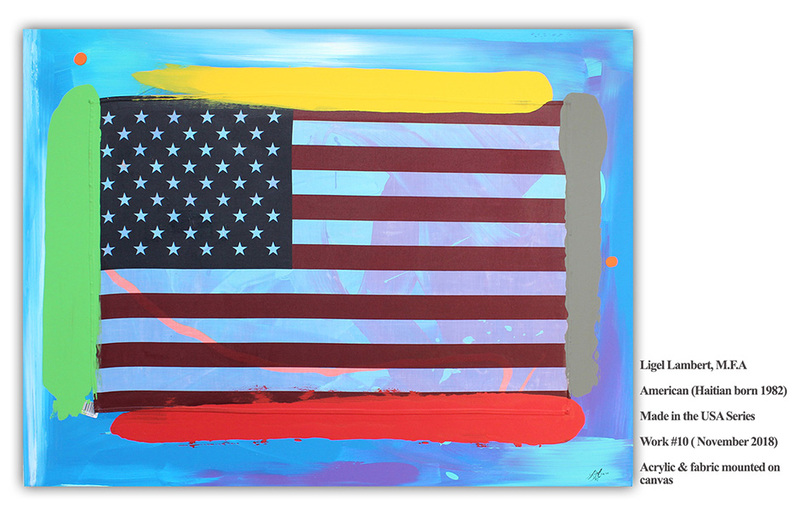 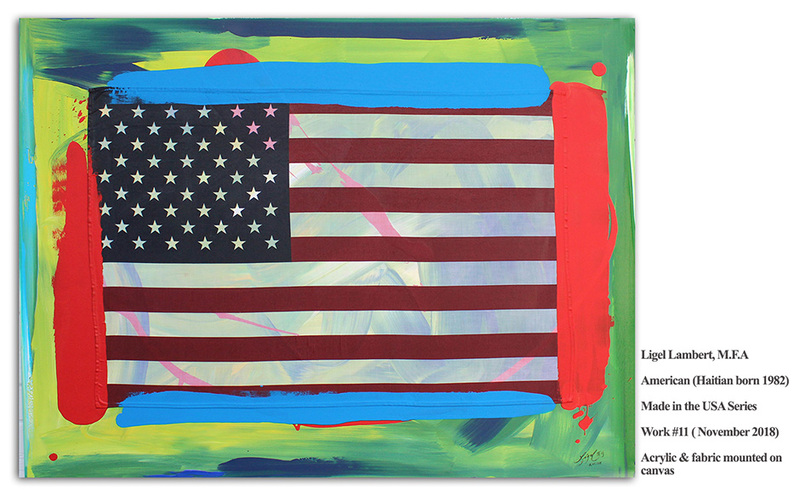 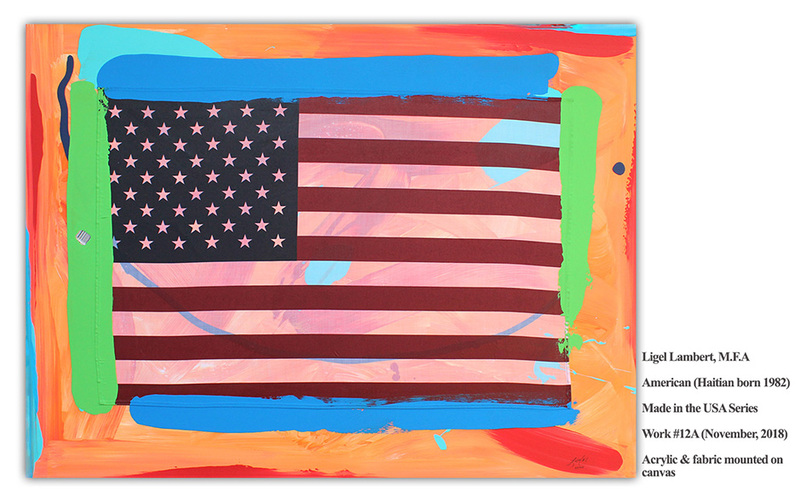 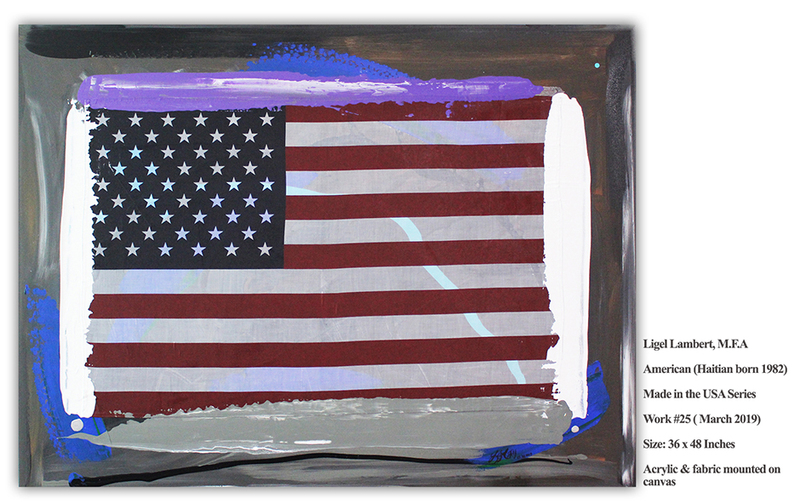 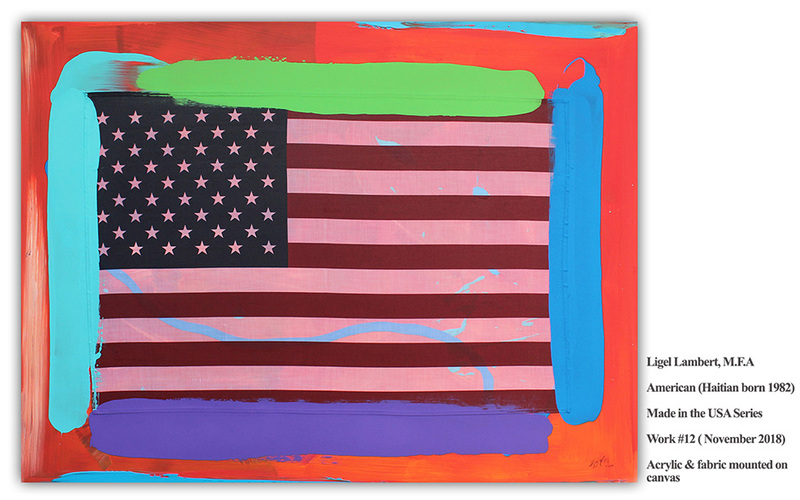 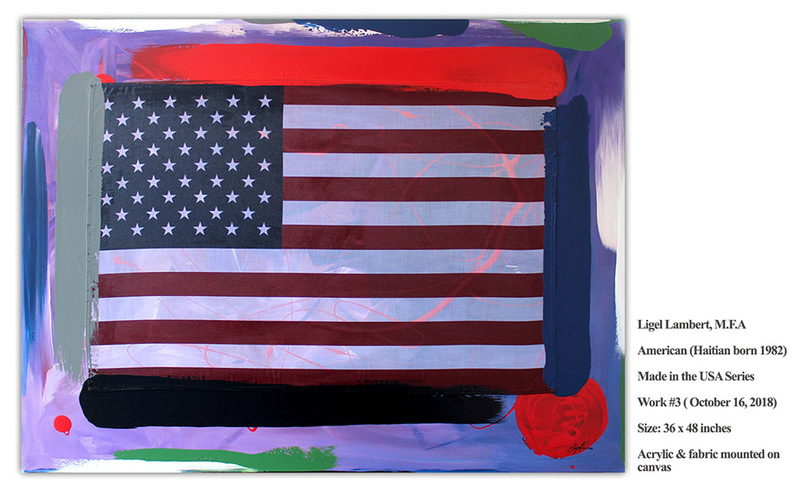 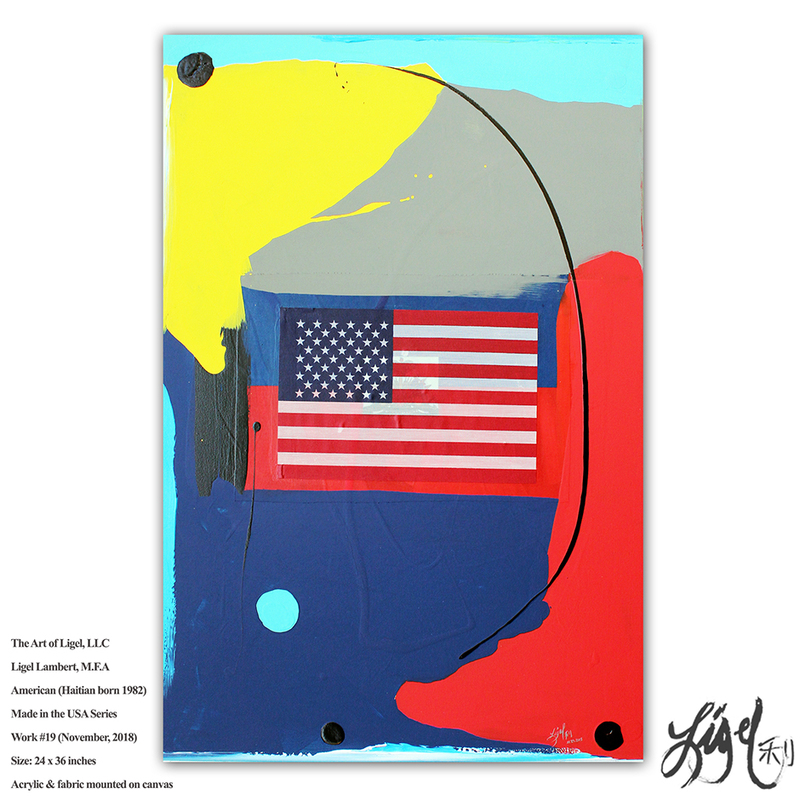 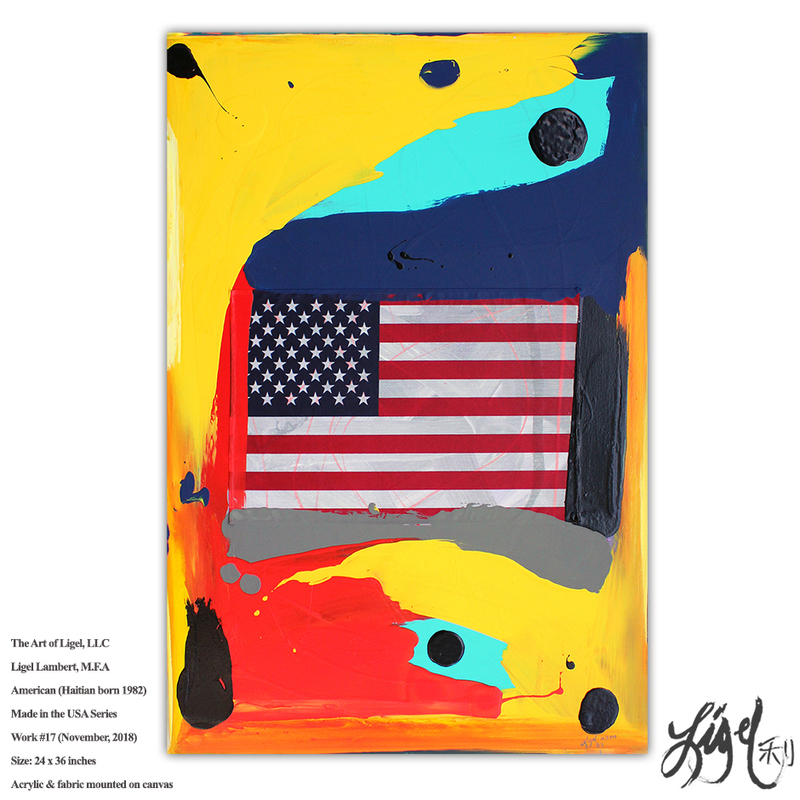 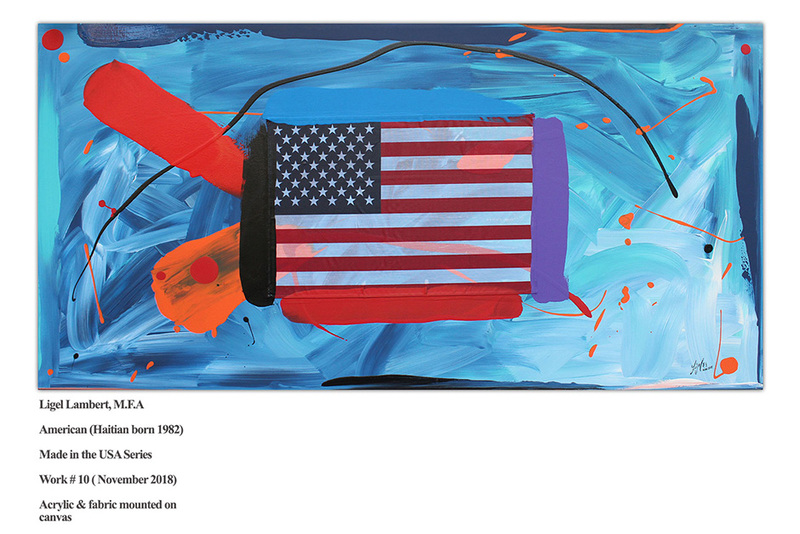 As a Haitian born American, I wanted to experiment with this concept based work that is aligned to my American identity and wanted to reference another prolific American artist that used the USA flag. 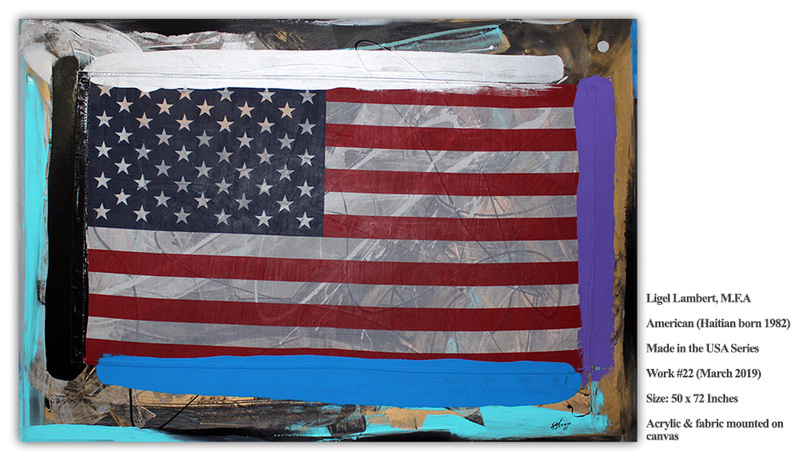 In my research, Jasper Johns’s flag series that he created in the 1950s made an impression on and directly influenced this body of work. 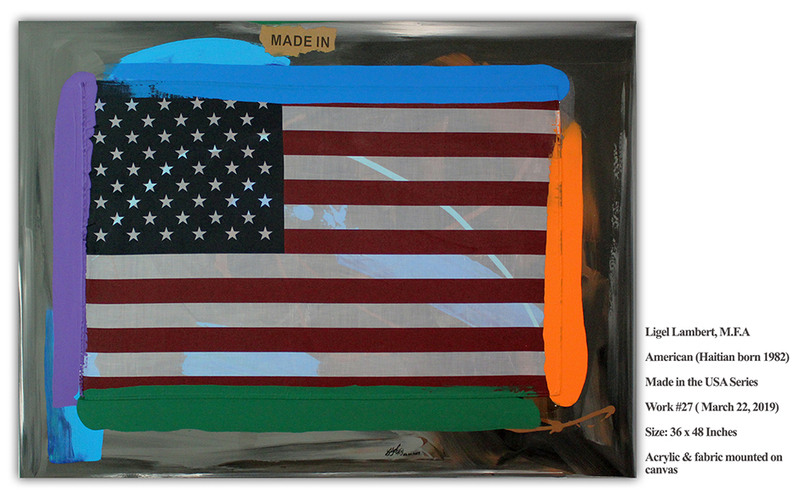 When completed, the "Made in the USA" series will include 50 paintings of various sizes ranging from 24 x 36 inches to 50 x 72 inches. 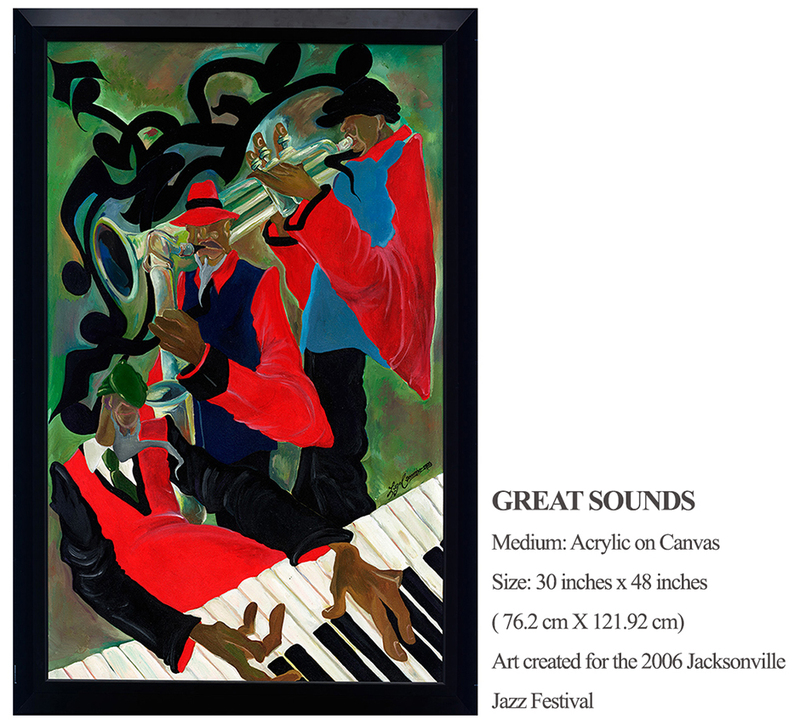 This work was created for the 2006 Jacksonville Jazz Festival. 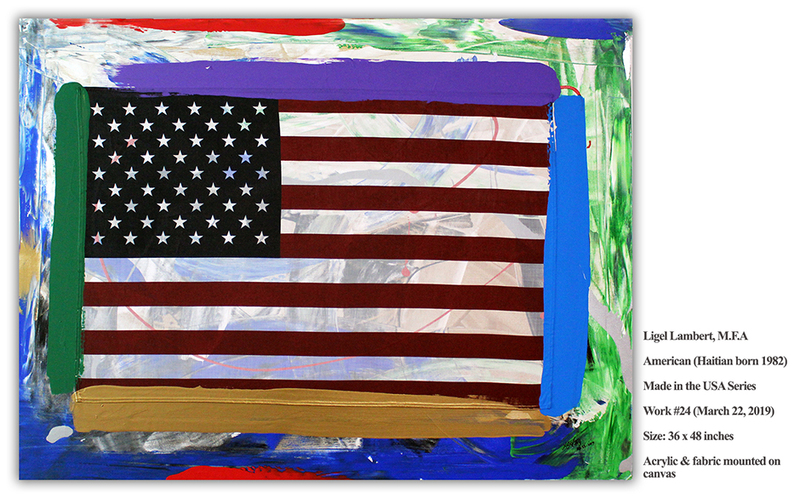 Click HERE to view documentation associated with this work.